Indoor Wall lighting is the next big thing in home design! Our customers are now purchasing more wall lighting as it's the trend; people enjoy the fixtures because it adds to the rooms overall atmosphere, making them look fantastic and bright! 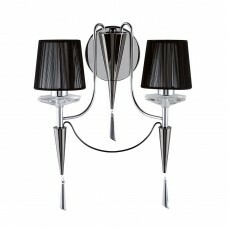 Lumination has a lot to offer in terms of wall lights giving you the best from around the globe! Our stock ranges is so diverse you're going to take a while to pick! Our ranges include multiple bulbs, mutiple colours, trendy colours, different shapes, different sizes and different switches. Please feel free to check out the range online; any questions we're a call or an email away.